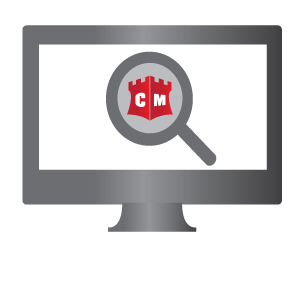 Centel Media™ command center allows each of our clients to take a closer look at their online reputation management while we work. Clients can also use the command center to take control of their own online reputation with the center’s various tools. Our services are the top in our business because you can use our online reputation management while viewing the improvement of your reputation in real time. Because reputation has such a large impact on our social and working lives, we understand how important it is for you to be able to see what we’re doing, and even take matters into your own hands. Part of being able to view your online reputation management in real time includes taking a look at social media sites as well as how you appear in search engine results. You can take part in these features any time you’d like. Online reputation management is something that needs to be done quickly, and all areas need to be covered in order to ensure negativity won’t resurface. Our command center tools are put into place so that you can help fight for your own reputation and image improvement. You can also view content we create for you as we release it. Then, you can take control of your reviews and make sure the negative ones don’t move up the ranks of search engine results. We are constantly improving our command center to bring you the best of online reputation management technology. Centel Media™ is here to protect you from false, defamatory content that has become a part of our technological world. We use algorithms that dig through the recesses of the Internet to find negative aspects of specific keywords, including words like scam and complaint, which generally alerts you of an attack. The most common sites that contain negative information are sites like Yelp, CitySearch, Zagat and Complaints Board. Our tools watch for attacks that are so deep even large search services like Google and Google Alerts would not find them. We allow you to check your reputation within conversations on social media sites, discussion forums, and other pages that slip through Google and Google Alerts. Like Google Alerts, you can have these notifications emailed straight to you. This allows you to view threats in real time. Our tools will create a list of such potential threats so you can be aware of anything and everything that might come your way. Reputation monitoring tools are essential in this business. Without the tools that help us see what’s coming, it would be harder to keep negative content suppressed. We go above and beyond Google alerts by taking a look at statistics and trends that will lend and hand in finding every bit of negativity associated with your specific keywords. Another important aspect of our technologies is the way they find new online posts. These tools find negative listings so we can work to suppress them. They find positive listings so we can improve them and figure out what other listings are needed. You can have these listing alerts emailed to you daily, weekly or monthly. With the use of our command center, you can also figure out information such as time, website and source of the mentioned keyword or negative link. Many people use online reviews to gather information about a person or company. However, these reviews aren’t always true. Sometimes reviews are posted by vengeful past employees, bitter opponents or unsatisfied customers. The review sites will often post any reviews they receive, no matter their content. Because so many people rely on reviews, it’s obvious that negative reviews will send your career spiraling downward. Our review moderation tool lets you take control of your online reviews. We will add positive reviews to your sites with our review widget. Please read our complaint moderation page to learn more about our system and the impact of five star ratings. When you use the review moderation tool, you can manage what reviews show up on your site. This will help you keep defamatory, false reviews from appearing on your sites, and thusly bringing your business down. 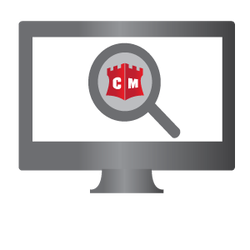 Centel Media™ review tools work well because they work with search engine algorithms to push your approved reviews to the top of results pages. These add to the positive assets that create insulation to keep negative content Centel Media™ hidden. Social media plays a large role in your online reputation. Any negative comments you receive can spread like wildfire across several personal social media pages. Comparatively, positive content and constant usage of social media sites will push your profiles to the top pages of search engine results. There are so many social media sites out there that it’s understandable that you wouldn’t be able to manage all of them, not to mention posting on them regularly. To make your life easier, we offer you a social media management tool that connects all of your social media accounts to one access center. This way, you no longer have to worry about posting an article on every social media site individually. Our tool also allows you to converse with individuals, and accept friend and follow requests without having to sign onto each site individually. 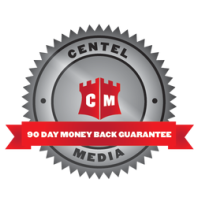 Centel Media™ offers you the top service in creation of positive, respectable content. We put out numerous articles, reviews, posts, and much more to help improve you online reputation and push negative content past the third page of search engine results. After the content is created, we have you authorize it before publication to make sure it meets your standards—you can then modify if you’d like with through our management system. Since all our content is produced for you to better your online presence, it’s essential that you are comfortable with whatever we put out. We wouldn’t want to suppress negative content just to publish more unwanted content. Therefore, we run everything past you before putting it online. Once you’ve approved everything, our talented employees publish everything onto blogs, review sites, press sites, and everywhere else it’s possible to publish information. We want to emphasize the ability to receive alerts through email. We expect you’ll want to know what’s happening when it comes to your online reputation. These alerts will tell you where you stand online, and you can receive updates daily, weekly or monthly. Once again, these alerts are much more complex than Google Alerts—they use our foolproof algorithm monitoring systems. While we’re prepared to put out countless articles, reviews, videos, images and more on your behalf, it’s important we publish content that mirrors what you’re looking for. Our management tools allow you to view changes in your online reputation as they are occurring. Remember, we’re working to help you, so we want to know that our content is meeting your specifications. Then, watch the positive assets we’ve created for you begin to take over the top pages of major search engines like Google, Yahoo and Bing.